22 year old defenceman Harrison Lillis is back for another season with the Invicta Dynamos after enjoying a breakthrough year with the side in the NIHL South Division 1 last term. Harrison Lillis has an association with the Dynamos that dates back to his junior years and he made his senior debut for the Invicta Mustangs in the NIHL South’s second tier aged just 16 in 2009/10. Since then the skater has battled to establish himself in the league and last season was arguably his best so far as he regularly clocked up the minutes in team’s rear guard. Lillis was just one of five players that was ever present throughout 2016/17 and his tally of 50 outings across all competitions took his total appearances in a Mos jersey to 200. Now the blue liner, known for not shying away from the physical side of the game, will be adding to that total as he returns for another year at the Silver Blades Gillingham ready to build on the success of the last year. Speaking on the re-signing of Harrison Lillis, Head Coach Kevin Parrish said, “2015/16 was a big year for Harry and you can already see he’s fiercely determined to do even better next season. Despite his young age Harry has been with the Mos for a long time and played in a variety of positions but he was always seeking that breakthrough campaign and last term I think we saw a player that had really found his feet. He didn’t look out of place against the league’s best forwards, he earned every minute of his ice time and I’ve no doubt he raised a few eyebrows. 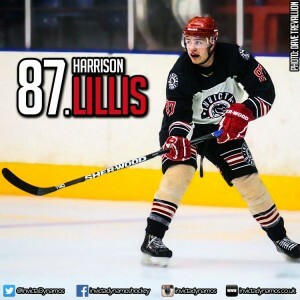 Since the end of the season he has been working phenomenally hard to get himself in great shape for the new campaign and I think the NIHL South Division 1 will be seeing a much stronger, fitter and faster Harrison Lillis in 2016/17 which will only be a great news for the Dynamos. Harry is a more determined than ever, he loves this club and I think it’s going to be an exciting year for him in Gillingham. I look forward to working with him again come September”. 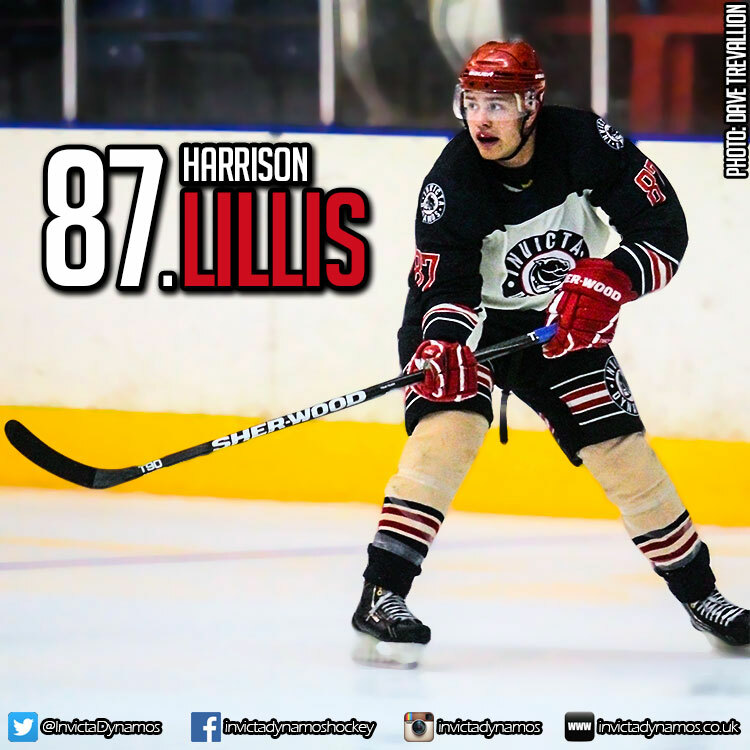 Harrison Lillis will continue to wear the number 87 jersey and his return takes the club’s roster to five as he joins Damien King, Ondrej Zosiak, Arran Strawson and Mason Webster on the team sheet for the upcoming campaign. News of further signings will follow in the next week so stay glued to the website, Facebook page, Twitter feed and Instagram to ensure you always have the latest updates. Warm-up Jersey – For just £125 get your name or logo printed on the back of Harrison Lillis’ warm-up jersey. Sponsors are then presented with the jersey to keep at the end of the season. Game jerseys – Get your name or logo on the back of Harrison Lillis’ game jerseys and become a part of the action.